In a country like India, which has more than one lakh languages and dialects, language translation using methods like Natural Language Processing can often be a challenge. Curiously, with the rise in the number of internet users in India, there is an increasing section of local language-based internet users than English language users. According to a recent study, the growth of Indian language users is growing at a CAGR rate of 18% that by 2021 the number of internet users will reach 531 million people. They are also estimated to account for nearly 75% of India’s internet user base by 2021. The features attributed to this growth has been the availability of mobile data at a minimum rate, more digital awareness among the rural population, the growth in number smartphone users. With the Indian vernacular market estimated to grow by leaps and bound, the study says that it will greatly affect the content ecosystem on the internet. Digital write-ups, digital entertainment, social media, news, to mention a few will be disrupted in terms of how people consume content. However, one of the important highlights of the study is the preference of native speakers to access in their local language than English. 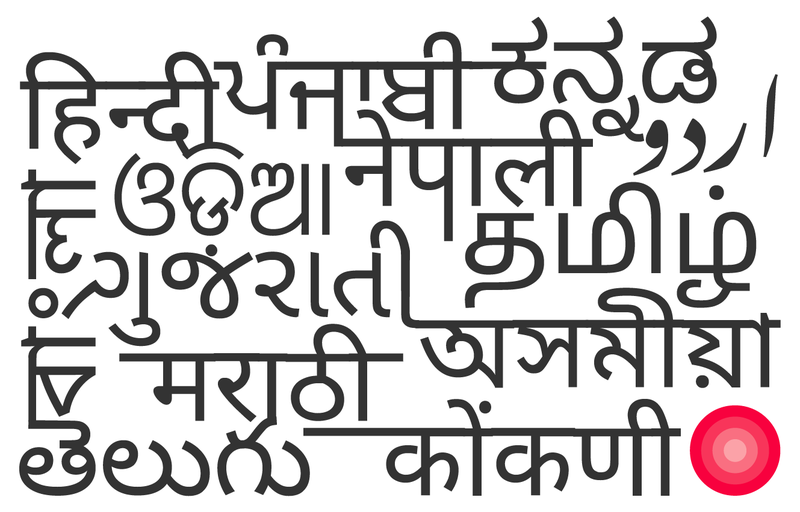 Nearly 70% of the Indian language users face challenges in using English keyboard. Cashing in the opportunity to better their service as well on board as many users as possible, tech giants have already leveraged new age technologies like artificial intelligence and machine language to cater to their user-base in India. In India, Google has been one of the early forerunners by introducing a number of products specially targeted at the vernacular audience. One of its early entry to the foray has been through the introduction of Knowledge Graph in 2012. Globally as well, the introduction of Knowledge Graph marked how the company would transition into new age search engine optimisation. The technology used the NLP to understand queries better. In India however, Google’s second shift came with the increased mobile use. In 2014, it introduced Voice Search in India, which enabled its users to speak in Hindi to navigate the web. The move proved to be an instant success, with 28% of its users relying on the feature. The company further added that the searches increased by 400% over the years. The Knowledge Graph enables users to search for things, people or places that Google knows about — landmarks, celebrities, cities, sports teams, buildings, geographical features, movies, celestial objects, works of art and more. The feature allows users to get straight to the answer instead of scrolling through web pages. The was followed by the introduction of voice-guided navigation instruction for Google Maps in 10 Indian cities Hindi, Gujarati, Bengali, Marathi, Kannada, Tamil, Malayalam, and Telugu. To gain more user base, the company introduced more languages to Knowledge Graph. In 2017, it said that it has introduced nine Indian languages to its neural machine translation to make the translation process seamless and refined. However, the company’s one of the most sought after and the highly used product has received major setbacks over the years. Google Translate, is a primary source for people to translate from regional languages to other languages. But due to the inconsistency in translation, it has received major flacks. Clubbing voice, video and vernacular together, Google on 2018 rolled out Google Assistant, its AI-based voice assistant. The company announced that the application will be able to read web content in Hindi, Bengali, Marathi, Malayalam, and Tamil. “Powered by natural language processing and speech synthesis AI, this technology can read billions of web pages smoothly in a natural sounding voice. It supports 28 languages, including Hindi, Bengali, Malayalam, Marathi and Tamil — even on 2G connections,” the company had said in a blog post. In yet another interesting venture, the company brought out Navlekha, a platform to let Indian vernacular news publishers get their content online.